Ouya's animated ad featuring a vomiting gamer has garnered a great deal of negative comments since it briefly appeared on Ouya's YouTube channel earlier this week. The [a]list daily reached out to some PR and marketing veterans in the game industry to get their reactions and advice for Ouya. Scott Steinberg, head of video game consulting firm TechSavvy, offers some straightforward advice to Ouya. "Ouya's best strategy at this point is to acknowledge, explain, address and apologize for the issue. As a company, it needs to acknowledge that there's a disconnect, explain how the issue occurred, address viewers' concerns, and apologize for the mistake," said Steinberg. Another marketing executive who's been in the game industry for many years wonders about the way the ad is targeted. "This doesn't appear to be part of a market research test. The ad is pretty much done, other than perhaps an end slate and call to action. BUY NOW!," said the exec, who wished not to be named. "It completely misses the consumer benefit part of the proposition and relies solely on gamers' 'disgust' over bad and remade games that aren't different from their predecessors. Everyone is talking about a bad ad and there's nothing in it that sets Ouya apart from the competition. They're using words like amateur, crass, gross, disgusting...nothing that you'd want your brand associated with. They could have talked about their $99 price point, their Android operating system, their FREE games that will never burn your wallet, their appeal to the common man...anything." "Everyone is talking about a bad ad and there's nothing in it that sets Ouya apart from the competition"
From a PR standpoint, Ouya's ad may not be all bad news. "Anytime people are talking about you, people are talking about you. So that's good, right?" said a veteran PR executive who has dealt with a wide range of games with a variety of publishers. "Particularly when everyone is mostly talking about your two competitors (to be kind), who are about to outspend in marketing the entire net worth of your company by a factor of 10X." There's nothing like some examples from the history of video game advertising to put Ouya's ad into perspective. "The spot itself reminds me of 90's-era game advertising (especially the stuff that came out of the UK), where ads were taken to controversial eXXXtremes in order to seem 'authentic' or grab the attention of the mysterious gamer but really just came across as eye-rolling, Poochie-style cultural whiffs," said the PR exec, citing numerous examples. "Does it fall flat? Absolutely. But this also explains why it wasn't front and center on Ouya's website, Facebook page, YouTube channel, Twitter account, Vine, Vimeo, Instagram, etc." See more insider reactions on our sister site, the [a]list daily. Yeah it was a bad add, a very bad add, that got people talk about OUYA in a "not so good way". All PR is good PR? No not in this case. It made 60$ dollar games look attractive, because the character complaining about the games was so repulsive. OUYA doesnt have any great game to show for itself. The premise of OUYA is flawed simply because its easier to connect a mobile device to a large screen. the only thing we need now is a peripheral that can act like standard controller with physical buttons, shoulder buttons and analog stick. I don't think being part of that gift bag is a co-inky-dink, as that ad would be "perfect" for the target VMA audience who like that new cool stuff like the OUYA. "Anytime people are talking about you, people are talking about you. So that's good, right?" That kind of goes along with the old cliche of "bad press is better than no press". But whoever initially came up with that cliche has obviously never seen this ad. is ouya redundant now because of chromecast? I know am in the minority, but the ad was great. It says what we all think. "Feeling ripped off that you got obligated to buy the yearly installment of these supposedly popular games? Then why not head over to OUYA and download any and all our games for a free trial and see if for those same $65 dollars you can get some different experiences"
Folks may not like it because of it's extreme nature, but I would say to you that this ad was no more gross than any Ren & Stimpy episode. No, I think this infuriated gamers because they are speaking truth and the truth hurts. But its still strong medicine, and when you are a small company creative thinking outside the box, is what gets your name out there to the public. The only short coming I can see that the ad had was that it didn't offer an alternative to the COD's and Assassin Creed's and the Madden of 2013....what OUYA needs is some very cool exclusives to demonstrate to potential customers why they should invest in this alternative platform. Yes, these are my thoughts exactly! I haven't even watched the commercial but have been reading tons of feedback on it and most people are at least talking about it. If it puts OUYA on the radar outside of the niche core of the corest gamers who helped fund it, then all the power to them. In all honesty, had the derisive commercial not been filled with images pulled from the visceral extremities of something grotesque there wouldn't be an article about the OUYA right here on GamesIndustry.biz and no one would be talking about it or covering it on their website. I say job well done. It's not like any of the larger sites would have batted an eye had they done a typical "$99 console with Android games. Buy OUYA" ad, showing some typical standard-fare family in front of the TV with a controller in their hand and the glow of the TV reflecting on the room -- lit up with phony smiles and the typical middle-class product agenda that most companies go after. No, I think this infuriated gamers because they are speaking truth and the truth hurts. 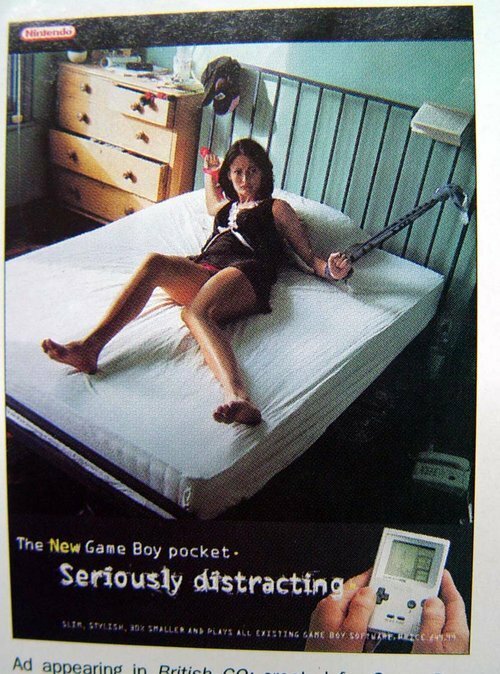 Possibly some, but don't dismiss all gamers who are against this advert with that sentence. I haven't regretted paying $60/£35 for a game since Dragon Age 2, and yet the advert still disgusted me. And I finally pinned down what this reminded me of... In UK cinemas a couple of years ago, there was a promotion for Bridesmaids. It was basically a 5 minute long extended trailer, which involved the characters eating at an American greasy spoon, then lots of vomitting and fart jokes. I do not find either funny, yet I was forced to sit through the trailer because we didn't know how long it was going to last. That single 5 minute trailer made me swear never to watch Bridesmaids. I don't care how good it may be, the PR for it forever turned me off. That is what this Ouya ad reminds me of, both in content, and in people's reactions to it.